Call DJ Records USA and Find Out the Real Value of Your Vinyl Records! What Are the Most Valuable Vinyl Records? How often a record was pressed makes a big difference in how it is valued today. The more that were released to the public, the less valuable they become. There are valuable titles by hugely successful artists like The Beatles, Elvis, Miles Davis, John Coltrane, etc. There are also many valuable records that were produced by obscure artists from all over the world. We buy hundreds of thousands of different titles of vinyl record albums and 45’s every year; what we find valuable may be surprising to you. What Changes the Value of a Vinyl Record? To start with, vinyl albums still stored in their original sleeves will hold more value. Not only because they have been better protected, but because album covers are also a part of the history behind the music. Musicians used their album covers as a way to extend their message, making the sleeves an important part of a record’s value. M M stands for Mint, or perfect. Generally, the only way a vinyl album is graded this way is if it has never been played. Better yet, it should still be in its plastic seal. NM Near Mint means the record looks almost as if it just left the factory on the day it was produced. Any defect in either album sleeve or album vinyl is minor if at all. If it came with extras like a poster or a lyric sheet, those will be there too. This is usually the highest grade given for used vinyl records. 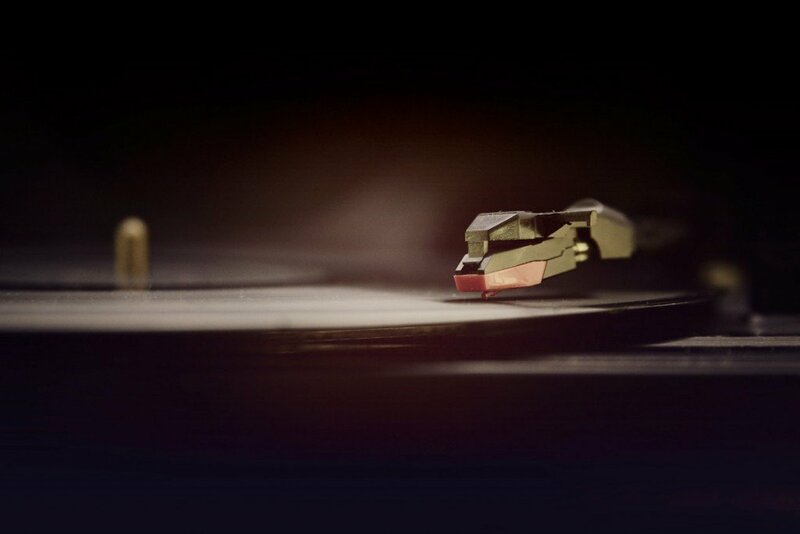 VG+ Any marks on the surface of the vinyl are minor and don’t affect the sound quality. A record graded VG+ is not worth quite as much as a record graded NM, but it should retain most of its value. VG VG stands for “Very Good,” but in reality, a VG record will show a bit of wear. There will be more marks and scuffs on a VG record than a VG+ record, and the marks may be beginning to cause a bit of noise. The listening experience should still be mostly undisturbed by these marks, however, and rarer items graded VG will still hold a fair amount of their value. VG- This is a step below VG. There will be more and perhaps deeper surface marks with a VG- record than with a record graded VG, and the marks will usually cause some ticks and pops. The music will generally be louder than the ticks and pops; if it isn’t you’re heading towards a G.
G Although G stands for “Good,” a G grade is not good. There will be lots of surface marks causing lots of noise which make listening to the record much less enjoyable. One of the only truly “good” things about a G record is that it will play through in its entirety without any skipping. Album covers graded G may be badly worn or torn. These records will look and sound as if they have definitely seen better days. Only very rare titles have any value in this condition. POOR If “Good” isn’t all that great, then you can imagine what “Poor” is all about. The vinyl will be marred with plenty of ugly marks which cause surface noise so loud that enjoying the music underneath will be nearly impossible. Only the rarest records will have any value in this condition. DJ Records USA can come to your home and value your record collection. With years of expertise and unparalleled knowledge, we will be able to make you a fair offer for your collection that you won’t want to turn down. Call us toll-free today and see how much value your record collection has!